We discussed about Cloud Computing Disaster Recovery due to Increased demand. Definitely, we were taking about the Infrastructure. On the sidelines of the natural events that occurs almost every year, we decided to write an article to explain what really is the Disaster Recovery in the data center. We talk often on these issues, but this is supposed to be a base from which exploring the topic in more details can be done later. To explain the importance of Disaster Recovery, it must be emphasized that the events are rare to become impact and it is highly unlikely that impact occurs at incalculable proportions, much higher compared to similar events which are on the Gaussian curve, conveniently positioned in the center. The Best of the Disaster Recovery planning has this aspect in mind, because when an unexpected event happens you can take away an entire enterprise, if not the economy of an area. We have witnessed a striking example of this concept the arrival of Sandy in the northeastern coast of the United States. The Hurricane Sandy is certainly an event classified as catastrophic. A disaster. It is a biblical scenario in which a geographic area is affected more or less extensively and with it all of the components which affect the uptime of a datacenter : the local power plant, the air-conditioning. Events of this kind are rare and therefore very remote chance to happen when you define a disaster recovery plan for a Data center. This consideration makes them unlikely, unfortunately but not impossible and are tied closely to the shape of the geological, atmospheric agents, the socio-political situation of the location in question. A hurricane in the area of New York is an event difficult to predict, as well as an earthquake, in contrast to what might be for California or Florida. The same American meteorologists agree that the turn of the hurricane has left everyone disoriented and there are some new interesting theories that explain this phenomenon rarely observed so far. The same, reported in Italy, that hit the Po Valley and the area of Parma, a disaster that prompted many to write articles on seismic risk as a factor to be taken into account in the practices of disaster recovery data center – an area considered low-risk seismic area found itself suddenly exposed to disasters and all went totally unexpected. It was unlikely, but it happened. 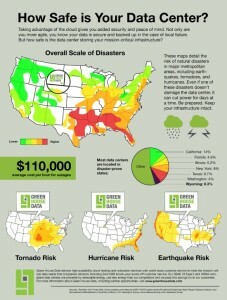 Tagged With data center natural disasters , data recovery after disaster stats , datacentre disaster , what is the chance of a data center disaster? This Article Has Been Shared 6393 Times! Create Own Software Repository With Rackspace Cloud Files. The SSL of Cloud Files is Free, access is API based, its hosted on Akamai – what you want more ? 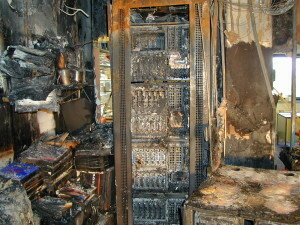 Cite this article as: Abhishek Ghosh, "Disaster Recovery : What Happens in the Data Center After a Natural Disaster," in The Customize Windows, January 5, 2014, April 24, 2019, https://thecustomizewindows.com/2014/01/disaster-recovery-what-happens-in-the-data-center-after-a-natural-disaster/.